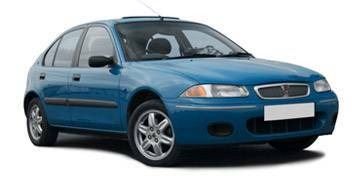 Read our helpful guide to second hand Rover 200. AA Cars works closely with thousands of UK used car dealers to bring you one of the largest selections of Rover 200 cars on the market. You can also browse Rover dealers to find a second hand car close to you today. All used Rover 200 on the AA Cars website come with free 12 months breakdown cover. The Rover 200 eventually evolved into the Rover 25 and later the MG ZR, so while as a model it ended production in 1999, its legacy and the groundwork it made lasted for many years after its initial 1984 launch. While it has undeniably dated heavily in the time since its production run ended, its reliability and build quality has kept it a solid and competent choice right up to present day. Its 1.8 litre, 16-valve K series engine shows off its spirited performance, while handling and grip is excellent. It might be now too dated to be considered current and perhaps too recent to be considered a classic, but it remains a solid and enjoyable car.